Behold! 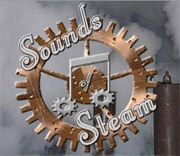 Steampunk music is taking over the airwaves. 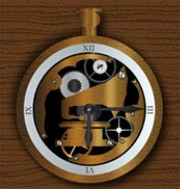 Here is a comprehensive list of steampunk music purveyors, both online and over the air! Affable host Travis Sivart and his cohort Christopher Hall cover the latest in steampunk media--events, film, music, books, and more. Their topics include a multitude of steampunk social subjects, such as the art of creating personas and costuming with purpose. Behind the Steam is a blog dedicated to bringing you behind the scenes information on your favorite steampunk musicians and artists via podcasted interviews, articles, appearances at shows and cons, and whatever else strikes our fancy! 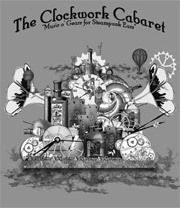 The longest-running steampunk radio show, Clockwork Cabaret is a Monday night standard hosted by Emmett Davenport and Lady Attercop. With over 220 two hour episodes since 2008, they've filled the airwaves with witty repartee, the fruit of listener requests, and an eclectic playlist that includes both recent recordings and more period works. 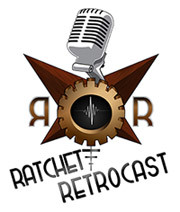 Bringing you the best in pop culture from times past and worlds that never were, the Ratchet Retrocast explores geek and pop culture from at least one generation ago or older, as well as topics steeped in a love for things past. An event/non event with a quantum probability of zero! And hoping each time that our next podcast is the leap home... Listen in as Q, Strangeway, and CD travel to places across time, space and realities. When they can be found, our crew will interview builders, makers, artists, icons and other figures from nerdom. And of course, a breakdown of the recent and upcoming steampunk goings-on. 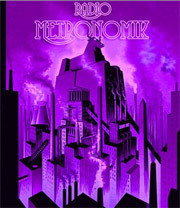 Want some more international, dieselpunk-flavored fare? Based out of Toluca, Mexico, hosts N. Inmunsapá and Von Marmalade play everything from modern electro-swing to big band and jazz. 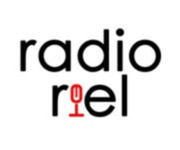 Radio Riel has six stations online, including a steampunk and dieselpunk station going 24/7. They have very eclectic playlists which cover a full spectrum of anachronistic, traditional, and ethnic music. Have a radio station you want to share?